Protective Insurance Agencies What is comprehensive insurance and why do I need it? What is automobile comprehensive coverage and why do I need it? 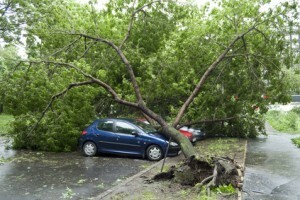 Storms, natural disasters, vandalism and theft all pose a risk to vehicles. The damage that results from these events is often expensive, which is a good argument as to why you should carry comprehensive insurance coverage. While collision coverage pays for damage to your car as a result of your auto colliding with an object such as a tree or another car, comprehensive insurance pays for damage to your auto from almost all other causes, including fire, severe weather, damage from an animal, vandalism, floods and theft. This coverage typically covers broken glass and windshields as well. While comprehensive insurance is required if you are financing your vehicle, it is an optional coverage for vehicles you own. You may be asking why you need comprehensive insurance and it is a fair question. Many individuals are trying to cut down on monthly expenses including auto insurance premiums, and it may not be obvious why you need additional coverage. Perhaps the best argument in favor of comprehensive coverage is costly repair work. Even minor cosmetic damage to vehicles can cost hundreds of dollars to fix. For body damage, the repair fees can be astronomical reaching into the thousands of dollars. If you have thousands of dollars in reserve and do not mind paying for auto repairs, then comprehensive insurance may not make sense. However, those that don’t have the excess funds to cover auto damage are well-served by comprehensive coverage. It is hard to know when calamity will strike here in North Carolina making it important to be sure you can get your car repaired without a huge out of pocket expense. Even if you decide not to carry collision coverage which can be more expensive, you may still want to consider comprehensive coverage if your carrier provides it without collision. The premium is usually well worth the benefit. Protective Insurance Agencies is a North Carolina insurance agency located in Salisbury. We offer comprehensive insurance through multiple auto insurance carriers. We will talk to you so we understand your needs then provide you with auto insurance quotes that match your requirements. Contact us today for a North Carolina auto insurance quote.